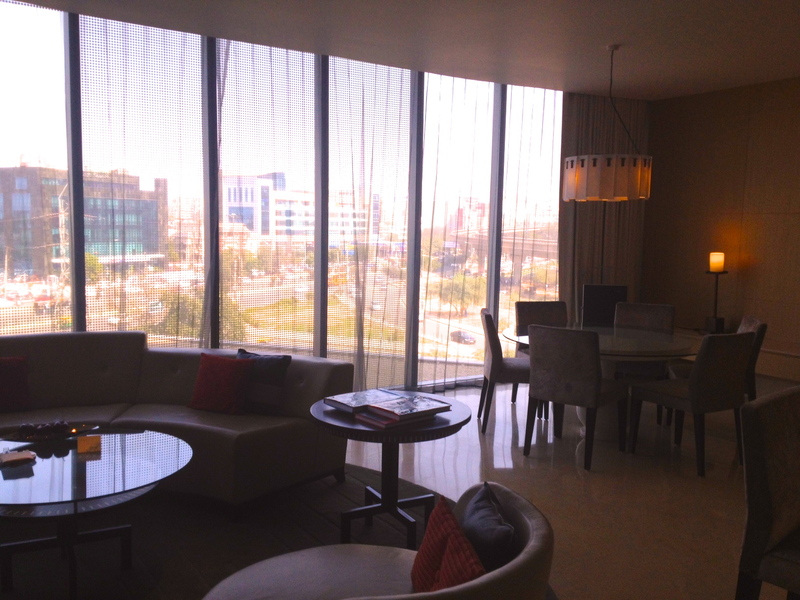 It was time to explore…Back to Delhi but now to try out a new hotel ( or a new hotel for me!) so I decided to try another favourite hotel chain the SPG (Starwood Preferred Guests) Property. 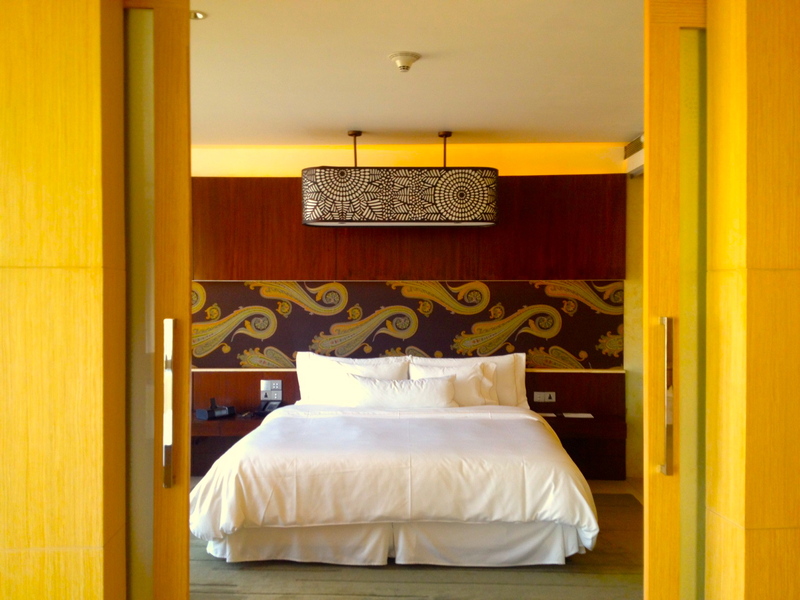 Now you’ll remember i’ve had some wonderful trips with SPG in the past- In Naka Island, In Athens and even in Amsterdam to name a few but hadn’t really stayed in any SPG property in India…so it was definitely time for me to try one out! 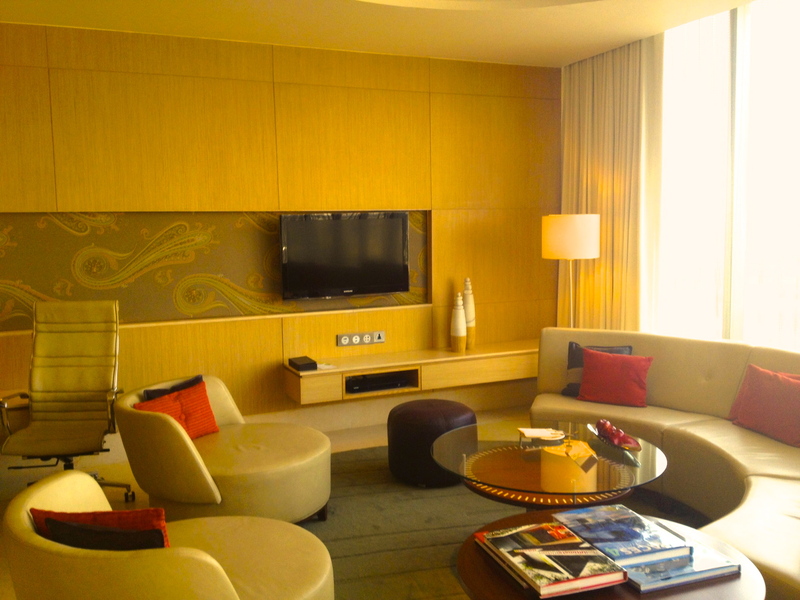 We were checked in at the Westin Gurgaon and I upgraded myself to a Royal Suite… After all I love a bit of luxury, even if it was a work trip… I thought I might as well indulge myself a little. 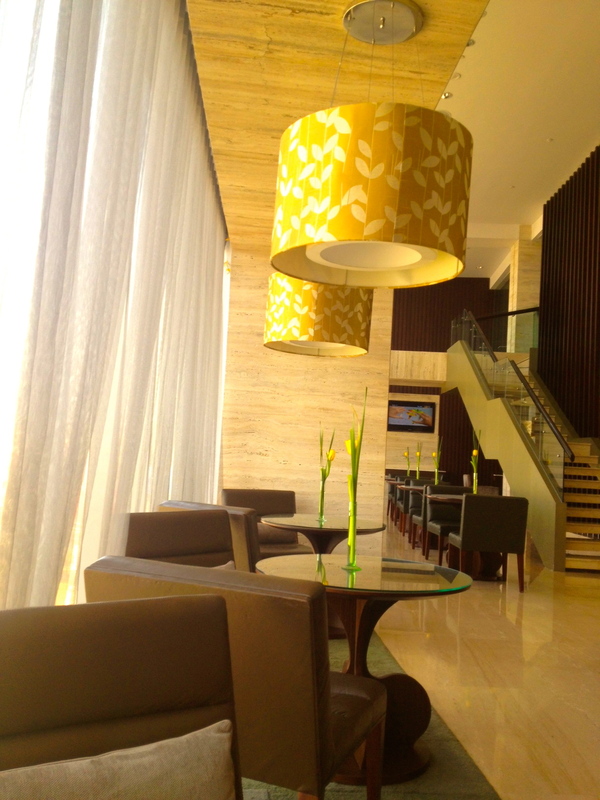 The lobby was kind of disappointing- cold and aloof ,I was a little worried as to what my room might be like. There was absolutely no need to worry. the Royal Suite is exquisite. With a large living room, complete with a sit down area , dining table and bar to entertain – it is MASSIVE! With a glorious view of the bustling Gurgaon below! Straight past our living room was a beautiful bedroom with the much talked about ‘Heavenly Bed!’ The Westin prides itself on their Heavenly beds and I must say after a fabulously restful night I can understand what the fuss is all about! The room was massive but still had the personal touches of a Nespresso coffee machine,a media centre and freshly baked cookies and savoury items that were sent to our room every few hours. A couple of meetings and a rather hectic day later, I found myself in the Westin Lounge. A two level lounge, don’t sit on the second level. the food stations, servers are all on Level 1. The cocktail hour and snacks had everything from sushi to fried chicken more than made up for my long day! Ending it ensconced in a gloriously large bath tub with the perfect scented salts completely revived me and I was back to the lounge later that evening for a warm cup of green tea and some biscuits! 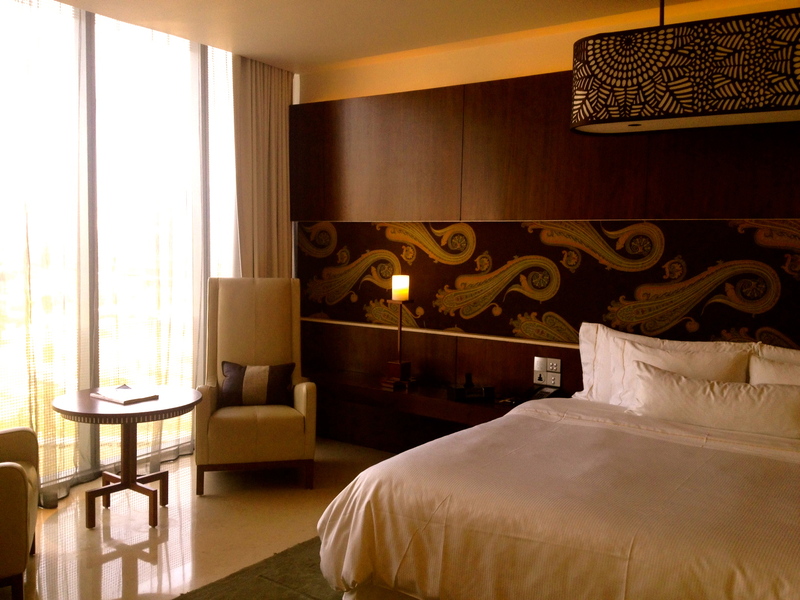 My one day trip to Delhi was made less hurried and a lot more fun with this quick luxury break and the Westin Gurgaon! Definitely one of my new favourites! Cost-:Approximately $500 upwards… UPGRADE yourself especially if you have family or need a relaxing break ! Definitely worth it especially if you have work in Gurgaon…! Best times to Travel-: September to November and February for cool weather. Delhi is awfully hot in Summer and bitterly cold in winter… I like the monsoon as well but with the traffic on the road, its fun watching the Delhi monsoon from inside a room rather than from outside!